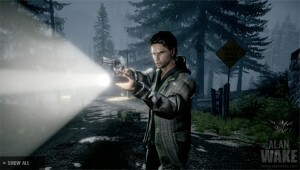 Alan Wake was released exclusively for the Xbox 360 this week, a game over five years in the making. Billed as a “psychological action thriller,” Wake is special in a few ways: it is not the umpteenth iteration of a war game, or a sequel, or focused on alien warfare. 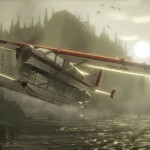 Wake tries to create a film-like atmosphere to draw players into its world. Wake was developed by Remedy Entertainment, creators of the best-selling Max Payne series, and they take the same surreal, eerie Northwestern setting of David Lynch’s Twin Peaks and run with it. Gamers play as the titular character, a novelist with writer’s block who visits the small town of Bright Falls, Wash and soon discovers there’s something deadly wrong with the locals. Through a series of ‘episodes’ set up like a television drama, Wake fends off demonic attacks from the residents of Bright Falls as he starts to question his own sanity. 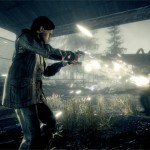 The gameplay involves using Wake’s flashlight to keep the possessed enemies at bay, shooting flares and other weapons to drive them away. The game makes great use of darkness and shadows to create the type of tense survival horror that’s been gradually lost from the Resident Evil series. 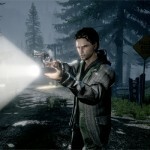 Alan Wake is not a perfect game, but it is original — something sorely lacking from the game industry these days. 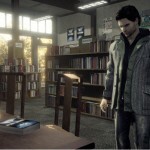 The standard edition of Alan Wake retails for $59.99, and the Limited Edition for $79.99. 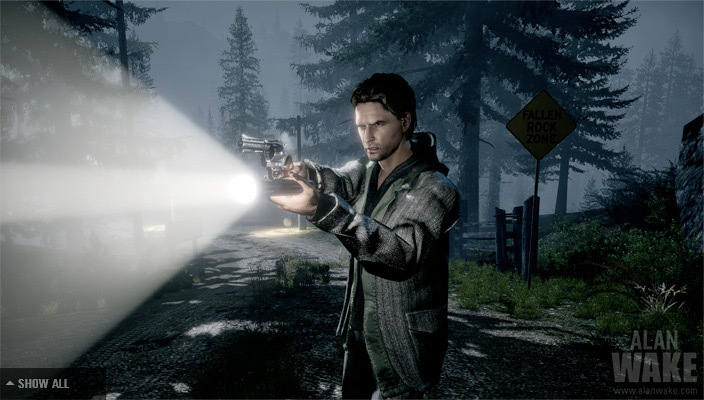 Right now get Alan Wake for only $49.99 (Reg. $59.99).